There are new things happening at my Etsy shop! There's a bigger update coming soon with great, beautiful things... But in the meantime, I added 2 New paintings: Lady Bug and Lady Bee are coming to announce the Spring to come soon! 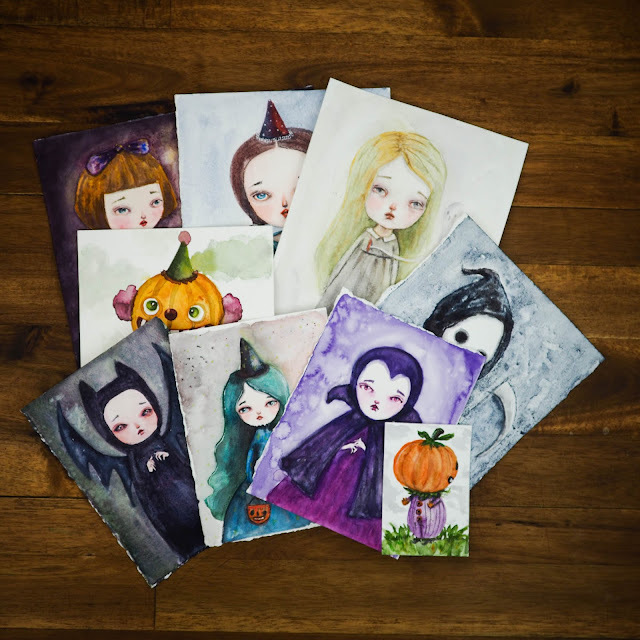 Also, for the art lover in a budget, I've added some ACEO prints. A more affordable option than the full size prints... Same great quality, smaller price. =) (If you don't find the one you're looking for, just email me and I'll be happy to add it)... Check them out here. Danita, These are soooo sweet!Love them!And a great idea with the ACEO's.